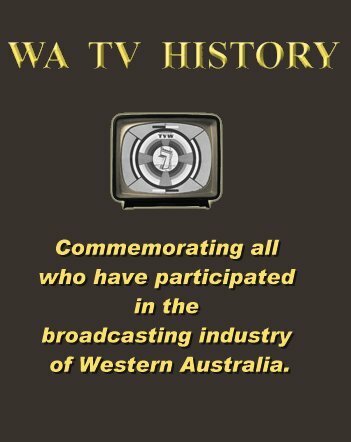 Western Australian Television History (WA TV History) » Blog Archive » Background to the ABC leaving its former Perth studio site. This is a personal account of the ever changing work environment that took place at the former Australian Broadcasting Corporation site in Adelaide Terrace, Perth, and the circumstances leading up to the site’s abandonment. Obviously wish to portray a positive impression, whilst attempting an honest description, as unlike the commercial arena, the ABC is a public institution that our tax dollars pay for and which many people faithfully follow as a reliable and alternate source of entertainment and information. It is hoped that this account leads to a better understanding of the dynamics which took place within that building. As with all views, this obviously depends on which department one was associated with and the experiences enjoyed or endured. Thus encourage other veterans to offer their accounts too, so that we may gain a more comprehensive picture of life with Aunty. Though there were a lot of fun times at the ABC, there was also a lot of turmoil generated by budget restrictions and the occasional bureaucratic constraints. Not to mention the ongoing inquiries and restructuring. A varying range of attitudes were witnessed from dedication and professionalism to moments when staff members seemed to be overcome by a state of malaise. Frustrations expressed during my time include, “Things get done despite management”, to “People get promoted according to their level of incompetence”. One related to staff making good programs in a constricting environment, whilst the other points to highly productive people becoming less so once they moved from program making to management. Observed people full of passion making programs, to a few who were more interested in how they could maximise their shift loadings, through penalty payment rich rostering, that also took best advantage of meal and travel allowances. Though to be fair, the wages were not always as good as the commercial equivalent, so shift working staff often depended on these perks to earn a decent salary. Unfortunately, those working 9 to 5 did not enjoy this luxury. No doubt each person will have cherished memories and their interpretation of time at Aunty. Wish to offer all former staff and management the opportunity to document their involvement with the ABC here in Perth, so that a fair and accurate account may be conveyed through the WA TV History web site. I have jotted down a few personal observation, but consider it needs to be complimented by a wider range of views and experiences for it to be a more balanced account. 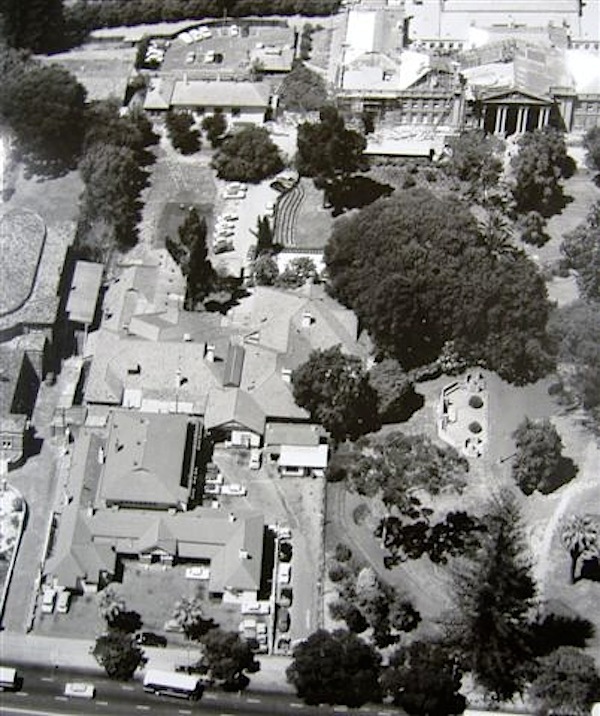 In 1960, the ABC moved from their Radio studios at Broadcast House, in the Supreme Court gardens in Perth (located next to the Government House Ballroom) to new state of the art facilities in Adelaide Terrace. This coincided with the introduction of television to Western Australia. 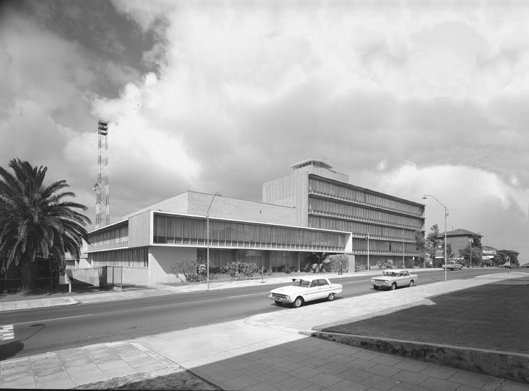 The Perth ABC TV studios were built on the same land as ABC Radio, that being the part facing Terrace Road. 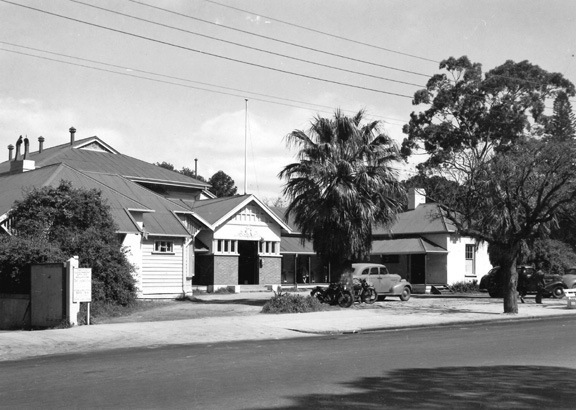 The site at 191 Adelaide Terrace was purchased by the ABC in 1943 but development was delayed, initially because of the aftermath of the war, until the mid 1950’s. The first major building was completed in 1959 and others followed through to 1985. 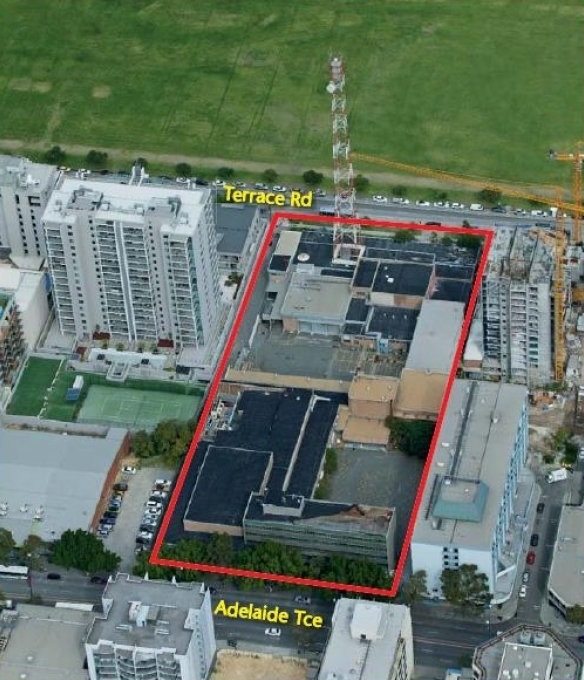 The 1.2874 hectare site comprises six ABC owned buildings with a gross floor area of approximately 13,500 m² and was situated 1.5 kms from the Perth GPO. 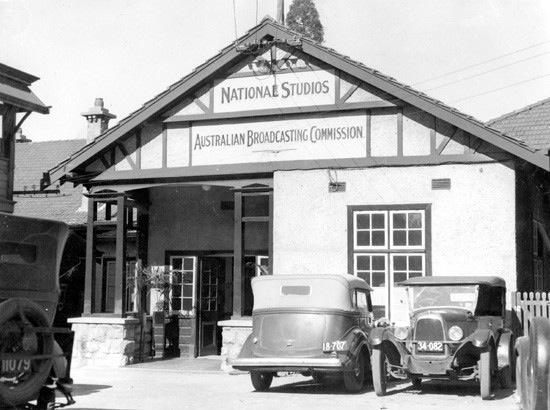 The ABC provided the first national broadcasting television network in Australia. With transmitters initially in each capital city, but with repeaters soon spreading to the major rural areas. Radio had earlier established regional Radio studios, to service the widest possible audience. 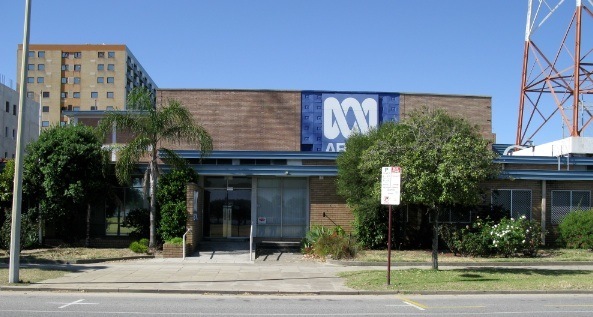 The new studios in Perth served the ABC from 1960 until the move to Fielder Street, East Perth, in 2005. The ABC left their former site in Adelaide Terrace for a number of reasons. Broadcasting was entering the digital age and the infrastructure at the old site was analogue. Staff were spread over the large site, between six separate buildings. The building was designed during the 1950s, in a labour intensive era when the tyranny of distance and technology of the day denied them the luxury of a centralised signal distribution system. 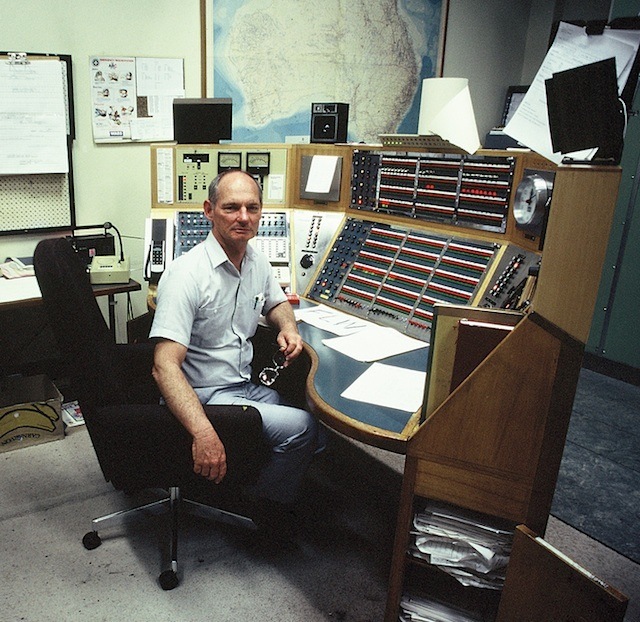 There were no communications satellites for broadcasting programs, there was no broadband and no microwave links across the Nullarbor. Except for some telephone wires which conveyed Radio News bulletins or programs taken off-air via the Byford shortwave radio receiving station, with its associated reception problems. Shows generally had to be freighted into Perth and presented locally. This offered more opportunity for local production and it was a case of necessity. Work practices were also more restrictive than today, with greater resistance to streamlining and multitasking. If a smoker dropped a match on the TV studio floor, one could not pick it up, as that task was restricted to the designated cleaner. Only people qualified by examination were eligible to be employed in some positions, whilst others were licensed to undertake certain duties. During the 1962 Commonwealth and Empire Games, at Perry Lakes Stadium in Perth, the ABC and TVW provided the television coverage. Each station parked their OB vans next to each other. The minuscule TVW OB team energetically undertook a multitude of duties and marvelled at how well organised and cultured the ABC was. 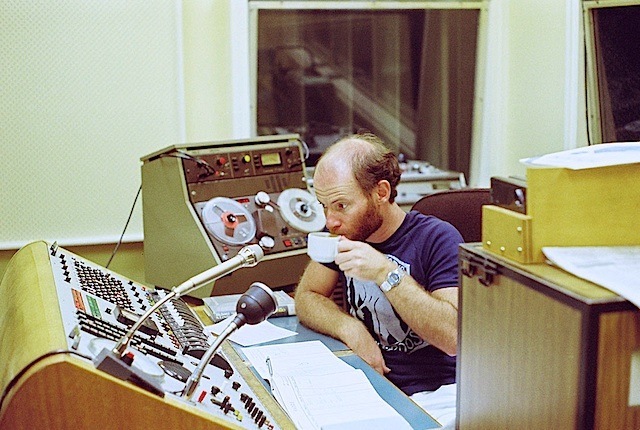 The ABC van had its own tea making facilities and there were separate people to undertake each job. People were designated drivers, and performed that duty only. TVW’s Senior OB Technician generally drove their van. Interestingly that person at the time was Alan Bateman, who later left TVW, and after a period in Britain, joined the ABC in Perth. He progressed up the ranks to become the ABC head of programming, later moving to Seven to take up the post of head of drama for the network. 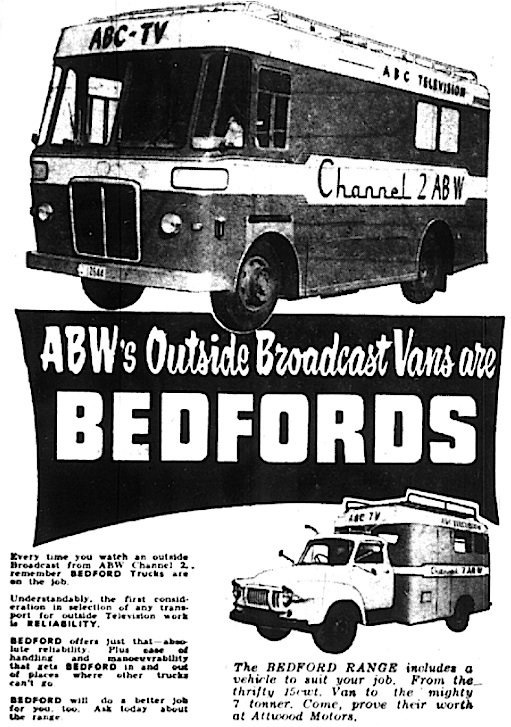 In the early days of ABC television in Perth, it was mandatory that an operator take 20 minutes to lace a videotape for replay, whereas the commercial stations took as little time as was needed. In an emergency that could be reduced to 30 seconds. Some ABC supervisors were particularly assertive if a junior officer was more speedy. Not all shift supervisors adhered to these archaic practices, as some were more pragmatic. It was the ABC tendency to structure work such that it would not overtax the weakest link in the chain. Eventually there was an influx of staff from the commercial stations, who no doubt turned a blind eye to such restrictive edicts, though there was always pressure to conform. The culture tended to vary from one location and era to another. For former ABC state manager Arthur Povah points out in his oral history (located in Perth City Council library) that during his early days shortly after 6WF was established, the station was like a family, but lamented that this changed as the organisation grew bigger. There was also a distinct difference in culture between ABC TV in Perth and ABC Radio. Radio was located on the higher ground nearer to the administration block, whilst TV was more isolated down the hill. Some TV personnel became paranoid about this, believing that Radio’s closer proximity to management resulted in more favours. Those who worked in both divisions often remarked at the high level of camaraderie that existed in Radio. There was certainly plenty of good natured high jinks, mirth and merriment. Though many TV staff also have fond memories too. Television had to work as a team with people having strict roles. 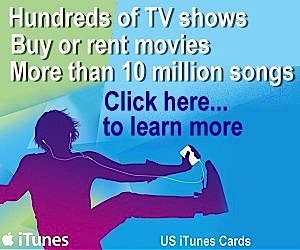 Talent, producers, operators, technicians, etc. Radio allowed more initiative. The announcers often structured their own shows. Each night had a theme, with Peter Harrison presenting Jazz, Earl Reeve with Country and Western music, Peter Newman or George Manning with the old hits, Murray Jennings with Folk, Michael Palmer with Music for the Poms, etc. Operators also presented programs in a solo configuration called OMO or One Man Operation, but this term was renamed OPO (One Person Operation) to be politically correct in the new era of equal opportunity. 6WF was then the top rating ABC metropolitan station in Australia. Unfortunately that was not enough to stop management in Sydney deciding that each state should follow the Sydney and Melbourne model, so the popular local lineup was altered to comply, with a corresponding loss in audience. Eventually, time delayed programming from the east replaced much of the local Radio content. This hit 6WN particularly hard, where local presenters were introducing records and operators playing tapes, which had been freighted in from the east. It was not long before 6WN, now known as Radio National, was taking all its program from time delay machines, being a slave to networking. The local Radio programs also underwent a considerable change with the introduction of producers and the movement away from music programs to a talk and talkback model. Australian accents became more accepted with many of the trained voices being relegated to news reading. Journalistic skills were in demand more than a cultured voice. Outposting was introduced, resulting in the support staff answering to the same output manager as the program staff. Prior to that, the engineers had a lot of autonomy and program management had to deal with them. Perth had about seven engineers at one stage, which was suddenly reduced to two. One for Radio and one for TV. Program managers were now calling the shots. Instead of thousands of dollars being spent on the latest high tech test equipment, the funds were syphoned off into program making. Rather than use expensive quarter inch Nagra brand portable tape recorders, less costly cassette recorders were introduced. Long hours spent maintaining such equipment was replaced by ditching a faulty cassette recorder and buying a new one. The different program managers were also given control of the resources they needed. Rather than have a separate operations department which handled studio bookings and support staff allocation, the facilities and staff associated with each output was given to them. No longer did the managers have to bargain for studio time and an operator. It was then up to the various program output managers to negotiate with each other over the use of shared facilities. The large Radio Production Operations Department was broken up, and staff distributed, with the exception of the Radio Master Control. The transmission supervisors were generally the highest qualified technically, other than the Broadcast Technical Department staff who were responsible for equipment maintenance and the design and installation of new facilities. Most of which were qualified to engineer level, though did not necessarily hold that position. Radio Master Control (MCR) was oriented more towards the operational component of transmission, rather than the heavy duty technical aspects. The section dealt with Telstra and Optus over program circuits and liaised with the Transmitter personnel. The section was also operationally responsible for the computerised switching systems. The section contained a Radio Operations Scheduling officer who liaised with each program department, whilst working to the federal program layout, to create the schedule which drove the computer switching of not only program sources to studios, but also program switching to the many transmitters spread across the state and for satellite distribution. This section was a shared resource servicing all program departments and resolving transmission related difficulties and emergencies. The section had a coordinator who answered to the state manager of radio and the federal head of transmission. Meanwhile, television was being decimated. Programs were now networked, courtesy of the satellite and time delay system. Other than the local news, program production was generally devoted to making content for the network. One section, other than the News Department, that survived and continues to excel is the Outside Broadcast section. 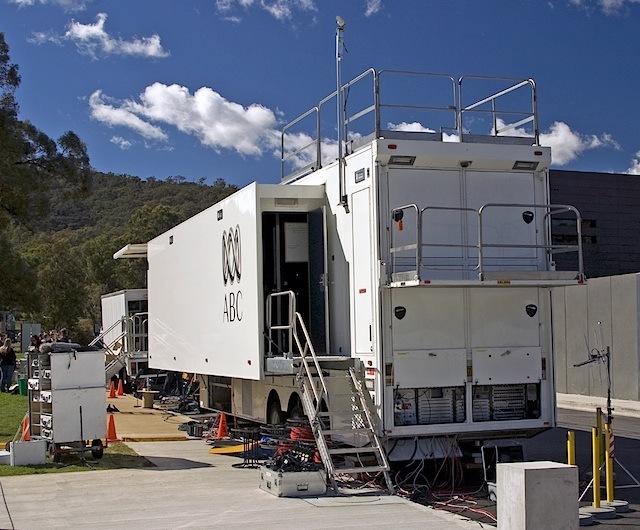 Not only does the ABC in WA have the most sophisticated OB facilities, but they are also a revenue earner, being hired by the commercial stations. Increasingly there has been a cross fertilisation between the commercial arena and the ABC. Staff moving from one to the other. Many popular presenters moved to better paid positions with Seven, Nine and TEN. Susannah Carr, Greg Pierce, Peter Holland, Anne Conti, John Barnett and Michael Schultz to name a few. 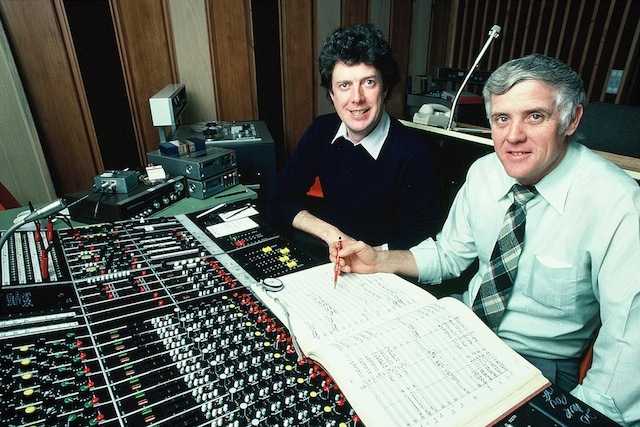 Though originally the ABC announcers were drawn from people with cultured British accents or a theatrical background, during the 1970s announcers increasing moved from commercial Radio stations. People like Peter Newman, Peter Holland, George Manning, Murray Jennings, Don Gresham, David Ellery and David Hawkes. The selection criteria was very strict, so not all commercial people were eligible. Now with the establishment of training academies and other public and community broadcasters, the catchment area for presenters is much more diverse. Much of the training curriculum was set by former ABC announcers at the Western Australian Academy of Performing Arts (WAAPA). 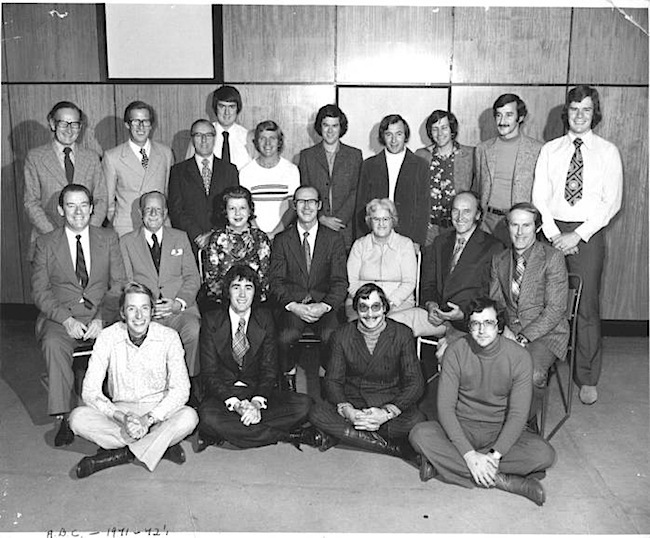 David Hawkes was the first Head of WAAPA Broadcasting, followed by Anne Conti, Earl Reeve, Murray Jennings and Peter Holland. ABC work practices drastically changed over the decades, following government budget cuts and the revolution in new technology, which allowed the satellite distribution of programs and delay machines that time shifted an entire day’s schedule. Jobs were redefined and people made redundant. Seniority no longer ruled when it came to job selection, with merit becoming the only defining factor. Many good people took advantage of the redundancy packages and moved into other employment. Eventually the procedures were tightened up so that only people who were inefficient or unable to be redeployed were let go with packages. Management was also introduced to the ABC from the private sector and soon many of the entrenched ideas were under pressure to change or else. Sadly the baby was sometimes tossed out with the bathwater as new managers came in with little understanding of the culture and determined that their new broom would sweep clean. A lot has changed over the last 50 years where the ABC is now often the trend setter, by pioneering and engaging itself in new media. So much changed over the decades that the old premises in Perth become increasingly inappropriate. The much reduced work force was too spread out and the building showing signs of age, maintenance then became a significant factor. There was a need for a smaller and more cost effective site, designed to suit a multitasking workforce with TV, Radio and News integrated within the one building, using the latest digital technology. The proceeds from the sale of the former property helped subsidise the digital installation at East Perth. Just a small point. The picture of the Digital OB van doesn’t seem to be in Perth and I suspect it is not WA’s OB6 van. I’m happy to submit pictures of ours in situ if you prefer. Failing all of that can you say where the photo came from. This is a great contribution to the history of the ABC in WA Ken. What a joy it was to go from valves to digital, including the change to colour Television. I remember we had to do a colour blind test for TV. As any career it has its highs and lows, but the highs outweighed the lows. We met some interesting people over the years. I would just like to thank Peter Newman who introduced me to all the great music from the 50’s and 60’s via his Friday night show which was broadcast form 7pm till midnight. I tuned in every week in the late 70’s and early 80’s as a 15 – 18 year old and indeed to a great extent it was the ‘ highlight ‘ of my week. I used to close the bedroom door and listen to the whole programme in the dark !! The music that I first heard on Peters show has remained with me , so Peter wherever you are thanks for the memory. PS I moved back to England in 1982 but still remember my time in Perth with fondness. “The transfer of all movable equipment, including Engineers Store and Outside Broadcast apparatus, to the new Rosehill Studios is now finished. The date of complete transfer was 22.6.60, and all studio services have been handled at Rosehill as from the morning of 23.6.60. The close of radio transmissions at 11.30pm on 22.6.60, brought to an end the use of a succession of temporary studio premises, dating from June 1929, when this department took over the technical operation of 6WF. 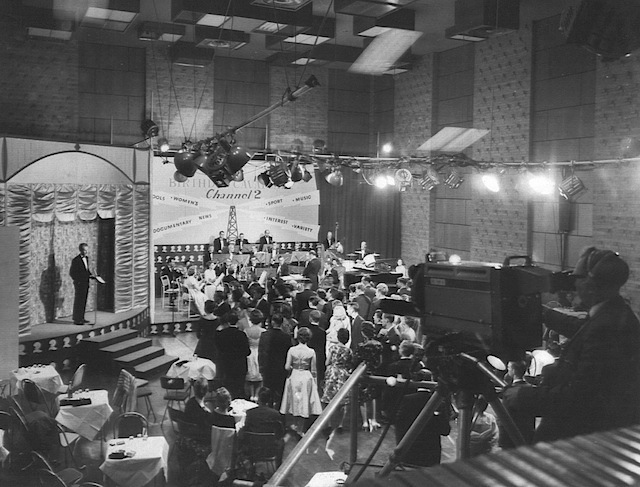 The opening programs on Thursday morning, 23.6.60, originated in the new studios at Rosehill, Adelaide Terrace. This modern completely air-conditioned building, comprising a five-storey office block and technical services office block, was erected at a cost of £650,000. 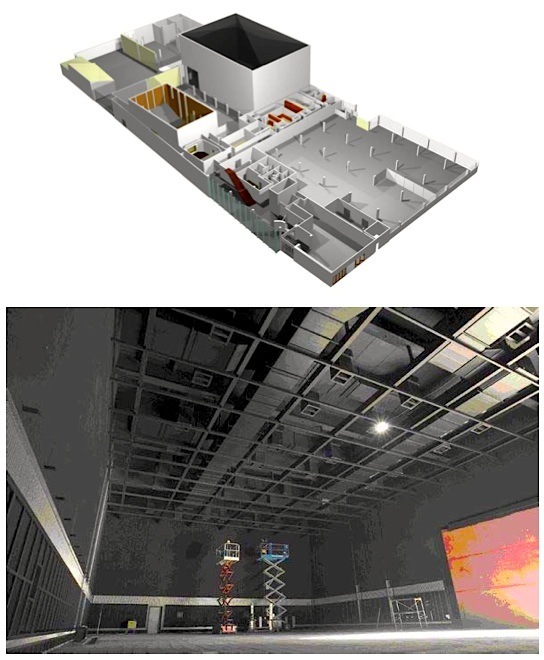 Five production studios are provided, the largest being the orchestral studio 620, which measures 80ft x 60ft x 30ft, and is designed to accommodate an orchestra of 80 players and a choir of 100 persons. 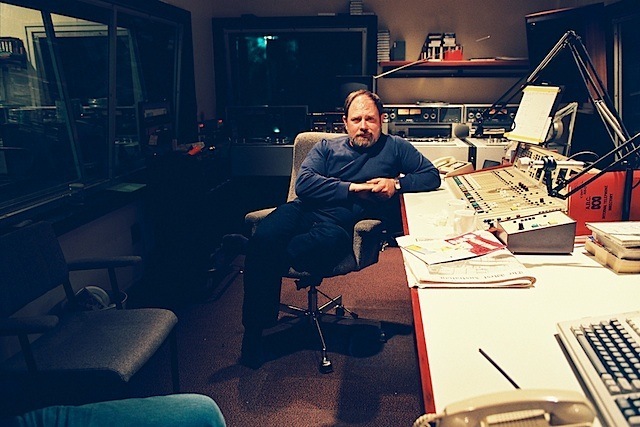 The other operational studios are – 621 Music; 612 Music; 610 Drama, and 611 Talks. There are four network studios – 601 to 604, each 25ft x 15ft x 9ft 6 inches. 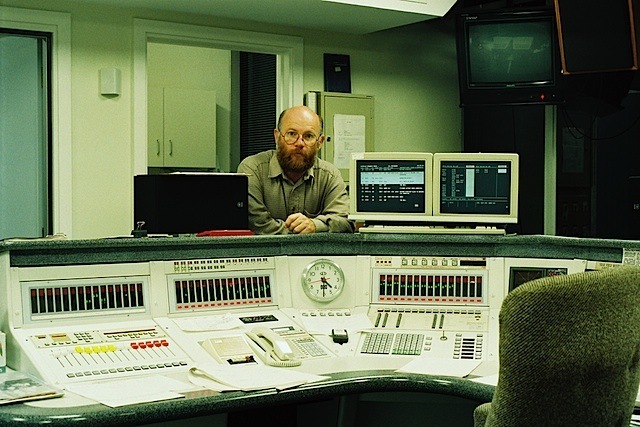 Technical accommodation comprises 9 control booths, switchroom, 8 tape recording booths, 1 disc recording booth, Engineers store and Outside Broadcast equipment store – and there are offices for the Supervising Technician in charge, Shift Supervising Technicians, Recording Supervising Technician and Maintenance Senior Technician. The program switching system, which uses Siemens high speed motor uniselectors, is based on that used in the Sydney studios. Announcers desks, control desks, portable tape replay machines, effects machines and house monitoring selector boxes were all designed locally by the Radio Installation Division and Drafting Section, to match the maple timber of the studios and control booths. The Postal Workshops manufactured the cabinets for these desks, and also the switchroom equipment racks and cable ducting etc. The assembly, wiring and installation of all the equipment was carried out by the installation staff of the Radio No.2 Division. The total installed cost of the technical equipment was £108,000. During the progress of the work, the Perth City Council succeeded in having the building contract accelerated to allow completion of the building 9 months earlier than originally planned. This was done to make the site of the old studios available for a new Town Hall to be erected in time for the 1962 Empire Games. The reduction in time due to bringing forward the opening date from February 1961, to June 1960, increased the difficulties in the supply of material and caused a complete re-arrangement of the installation work. PS. I wonder what happened to the new Town Hall?? My time at the ABC was from late 1969 to mid 1972 and it was a time with much internal strife and unhappiness with staff and management. It decided me to eventually leave and chisel out a life back with the NZBC, where I started. It does not seem fit for me to comment in any depth and your account Ken is commendable. However the times were unhappy for many very talented people; the causes have perhaps been analysed in the past and I am sure resolved. 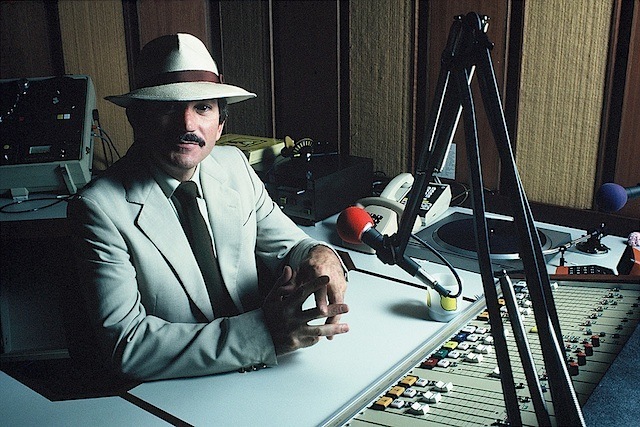 That said, my time there was without doubt character building and enabled me to develop a range of broadcasting skills, enhanced by original formal training with the NZBC. Your picture of Bob Weggellaar brought a tear to my eye as we were very good mates and I enjoyed working with him as my panel operator. When I saw the faces of former ABC colleagues, I felt an indescribable emotion well up inside me. We had a very strong bond, ably assisted by regular meetings in the Supervisors’ room. That such a unique assemblage of talent can be so casually tossed aside, is anathema to me. 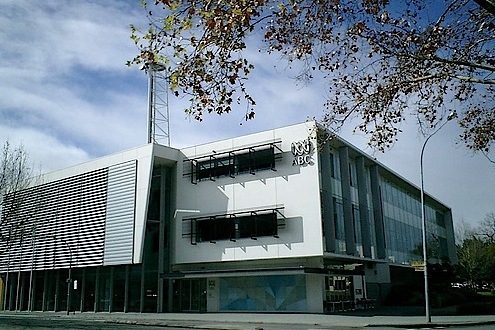 However, the ABC in Perth is not alone and NZBC was restructured to become Radio New Zealand. Then the hatchet man, well known in Australian broadcasting circles, paid us a visit and broadcasting in New Zealand has never been the same since. I always felt that the stations in Perth lacked the freedom to allow our talents to fully emerge, restricted mainly to a few and some people jealously guarded their functions there. My only claim to fame I suppose, is doing “Yours For The Asking” with Phyllis Hope-Robertson, also the general duties of air work and in particular television days and nights booth announcing, which I loved. A producer friend, Noel Williamson and I came up with the idea for a TV series and ABC television was much more adventurous and encouraging; so I presented “Things That Go Bang” a series on the history of firearms and it enjoyed a long repeat run around the country. Back in my home country, NZ, I went from success to success and being given so much freedom, I evolved a whole new format for a National Breakfast radio programme. I introduced birdcalls and this was to eventually earn for me a Queen’s Service Medal. All these years later and Radio New Zealand is still broadcasting the birdcalls as a significant part of its identity. However, I wish I had been given the same opportunity to prove myself on ABC radio. I will always carry a soft spot in my heart for those days with Aunty and be eternally grateful for the inspiration my tenure there gave me. I have no bad feelings or malice to anyone there and only the upmost regard for the wealth of talent ensnared within its walls. Thank you for these lovely memories. For my old mates over there, I live in Queensland on an island in Moreton Bay. Retired now at 70 I write poetry and history journals. Much of my time is taken up doing research on the American Civil War.